American agriculture teamed up with NASCAR this past year thanks to your strong support of the Kansas Corn Commission checkoff and state corn checkoff programs across the nation. This past year every race car and truck in the Sprint, Nationwide and Camping World Truck Series was powered by Sunoco Green E15 (an unleaded gasoline blend with 15% ethanol). Why ethanol and why now? NASCAR has made significant steps in conservation by introducing impactful initiatives in recycling, alternative energy and carbon mitigation. The sport has taken their environmental commitment to the next level. The emissions from Sunoco Green E15 are 20% less per gallon of gas. American ethanol, is a renewable source of cleaner burning energy from the bounty of America’s farmers. American ethanol creates tens of thousands of U.S. jobs, which can never be outsourced. What’s not to love? As we wrap up the year, it’s time to evaluate ethanol’s role in NASCAR. Let’s talk performance. Sunoco Green E15 is a high performance fuel, providing the same drivability without harming engines. The transition on the racetrack was seamless and NASCAR reports that the “E15 fuel blend has met and surpassed expectations”. What was the “reach” of advertising and promotions? The NASCAR Green commercials ran during race coverage on Fox, ESPN, Turner and the Speed Channel, along with coverage on Sirius XM radio. This coverage translated into 690 million impressions with race fans and a media value more than $10 million. How did it change the perception of ethanol to consumers? NASCAR fans and non-fans were both surveyed on their perceptions of American Ethanol. The results found that NASCAR fans are twice as likely to support the fact that ethanol creates hundreds of jobs and are 50 percent more likely to support the use of ethanol to increase American energy independence. Fans are also 50 percent more likely to use ethanol in their own vehicles. Think this isn’t a big deal? Let’s talk NASCAR fans. NASCAR is the #2-rated sport on U.S. television (behind the NFL) and 30% of the U.S. adult population is a NASCAR fan. On average, viewership is 6.5 million per race and the fan base continues to grow. 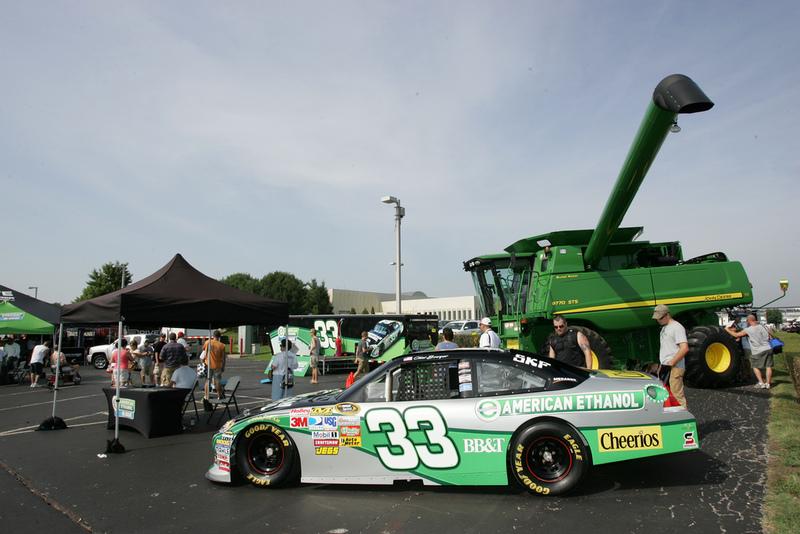 As we wrap up the 2011 year, it can be noted that American Ethanol has made great strides on and off the racetrack.